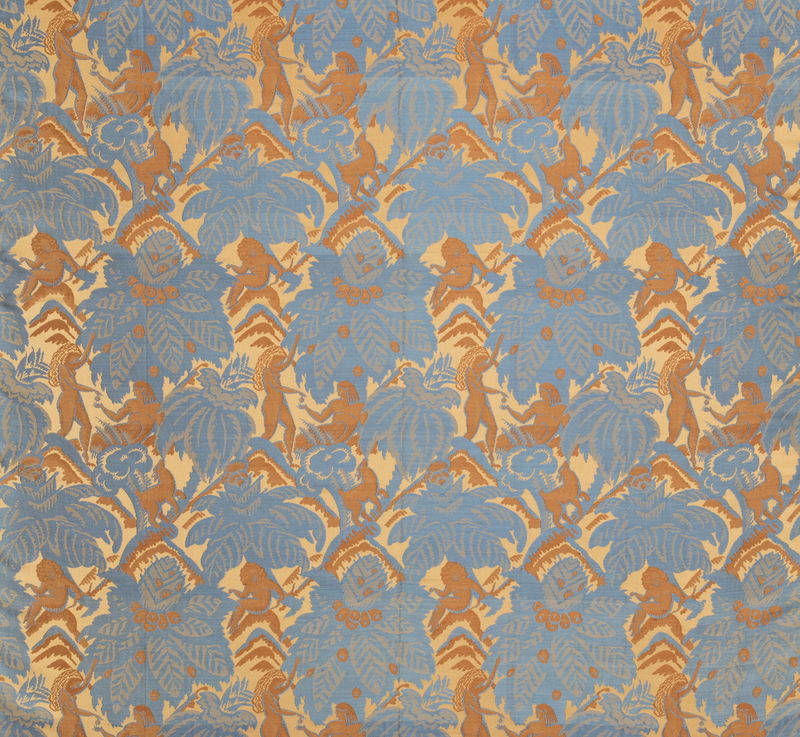 In this fabric, designer Jean Beaumont uses a lush pattern of oversized exotic florals and foliage, interspersed with stylized animal and human figures, to call forth an idyllic scene of paradise on earth. This, however, is a fleeting paradise, as the female figure (Eve) hands the forbidden fruit to the male (Adam). This sophisticated evocation of that fateful moment in the Garden of Eden garnered significant attention when it was exhibited at the 1925 Paris Exposition Internationale des Arts Decoratifs, and was featured in several art and textile exhibitions in the following years.